By collecting qualitative and quantitative data from hundreds or even thousands of interactions over time—for example, 10 years of hockey with periodic input from 3 or 4 coaches per year—and applying proprietary algorithms, PowerPlayer creates rich, deep and true profiles of individual athletes as they develop. PowerPlayer benefits athletes, coaches and organizations. 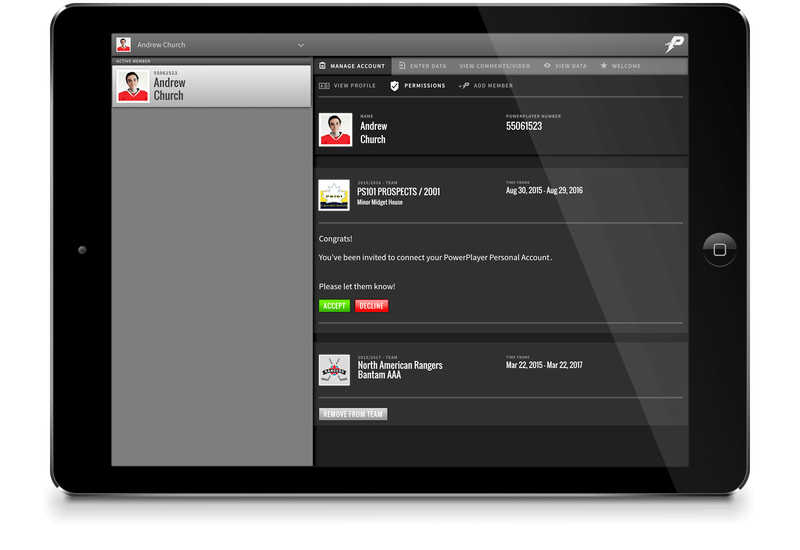 Unlike typical top down, closed scouting systems, PowerPlayer data is visible and beneficial to the individuals who are being assessed, and to those assessing them. 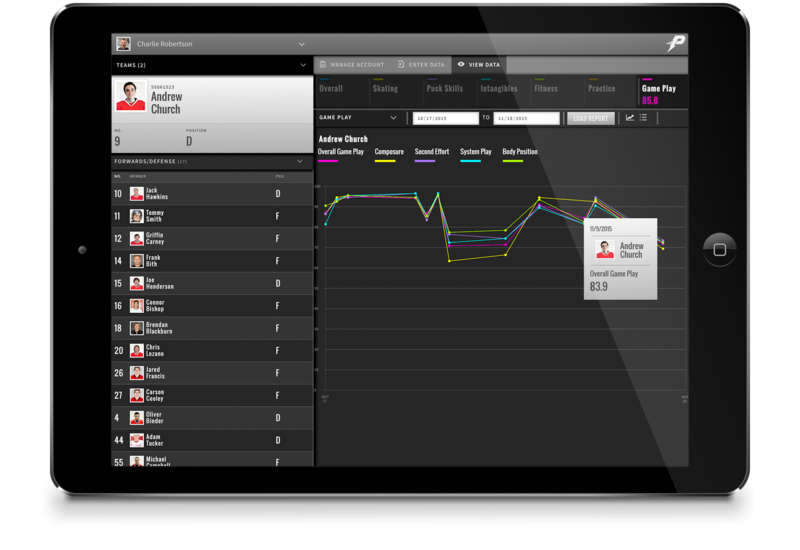 And with PowerPlayer, the athlete’s data stays and grows with them – from team to team and year to year. PowerPlayer is a permission-based system. Because PowerPlayer accounts and the data they contain are controlled by athletes and / or their parents, no coach, scout or organization can access an athlete’s account (to either read or write data) unless granted permission by that athlete or their parent or legal guardian. PowerPlayer captures quantitative and qualitative data relating to athletic development, maps individual capabilities relative to anonymous peers, allows them to understand physical and non-physical factors that impact how coaches perceive them, and empowers them to make decisions that will help them achieve their goals. PowerPlayer delivers insights that can help them teach to individual strengths and weaknesses, make team-level decisions that take best advantage of the collective capabilities and attributes of their athletes, and communicate more efficiently and effectively with athletes and parents. An easy to set up, easy to use, secure, opt-in system.